Baby bean has been teething for what seems like an eternity. We have gone through our share of teethers in this house, but every time I’m in any store I am intrigued to pick another one up. 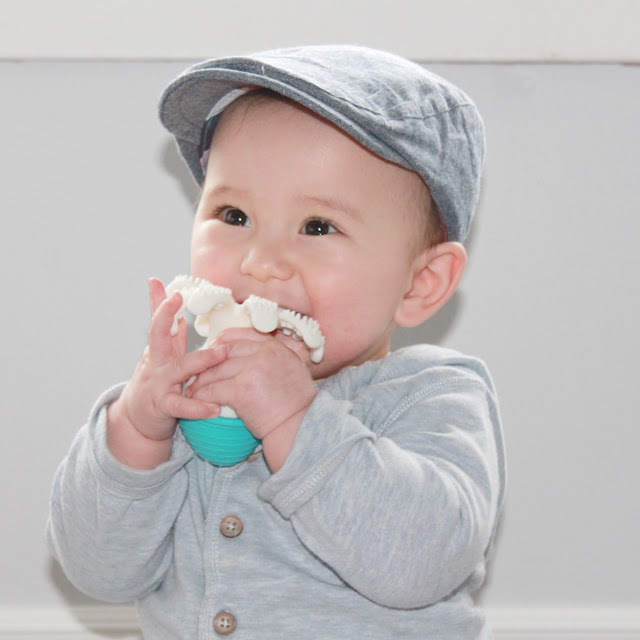 This week Baby Bean has really been chomping on everything and this Mombella Octopus teether is just the thing he needed. Invented by a dental hygienist mom, The Mombella Octopus is a hollow 100% food grade silicone teether. It is lightweight, easy for Baby Bean to hold and has 8 little textured legs that massage his sore gums. He loves this little guy. It also squeaks and is so easy to clean in comparison to Sophie the Giraffe. It can be tossed in the dishwasher or washed with warm water and soap. No mold issues as you are able to squeeze the water out. We love it! It retails for under $20 and is in my opinion way better than Sophie.